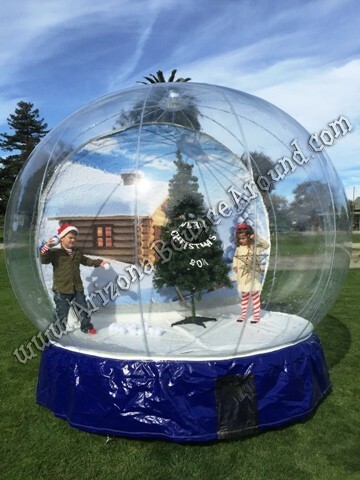 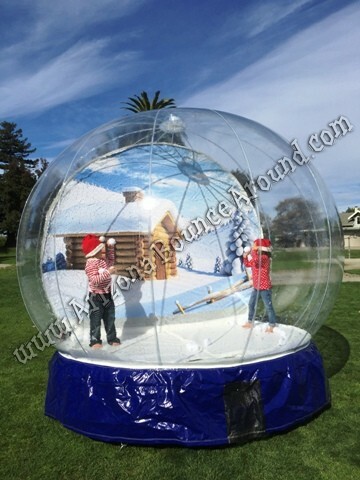 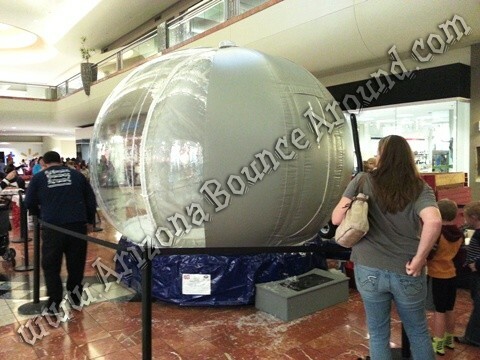 Our 10.5' human snow globe rental price features a hard floor and inflatable snow globe so it's very stable to walk around inside and will not colapse or fall over while being used. 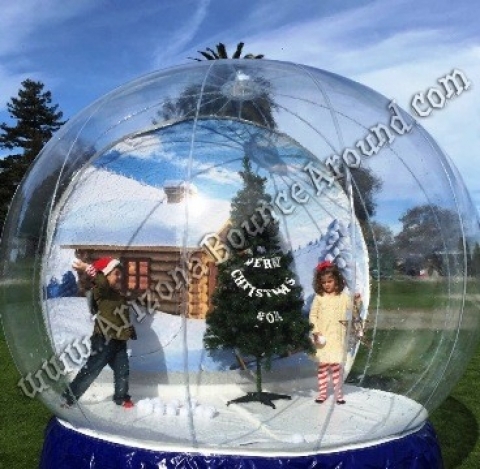 Not all human snow globes have this feature. 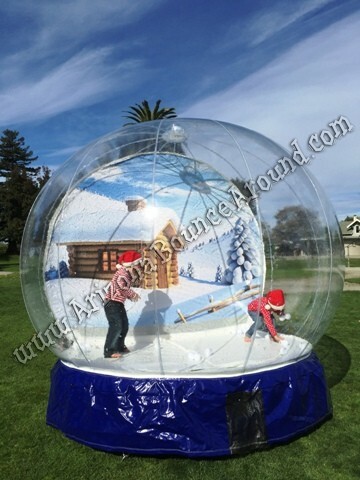 Rest assured that all of our snow globes are high quality and have been well researched and tested. 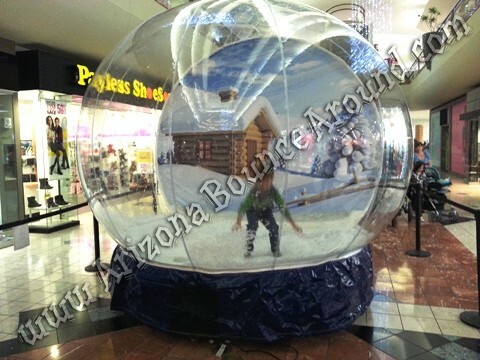 We rent the finest snow globes in Arizona and have a wide selection including 10.5', 15' and massive 20' snow globes for rent.